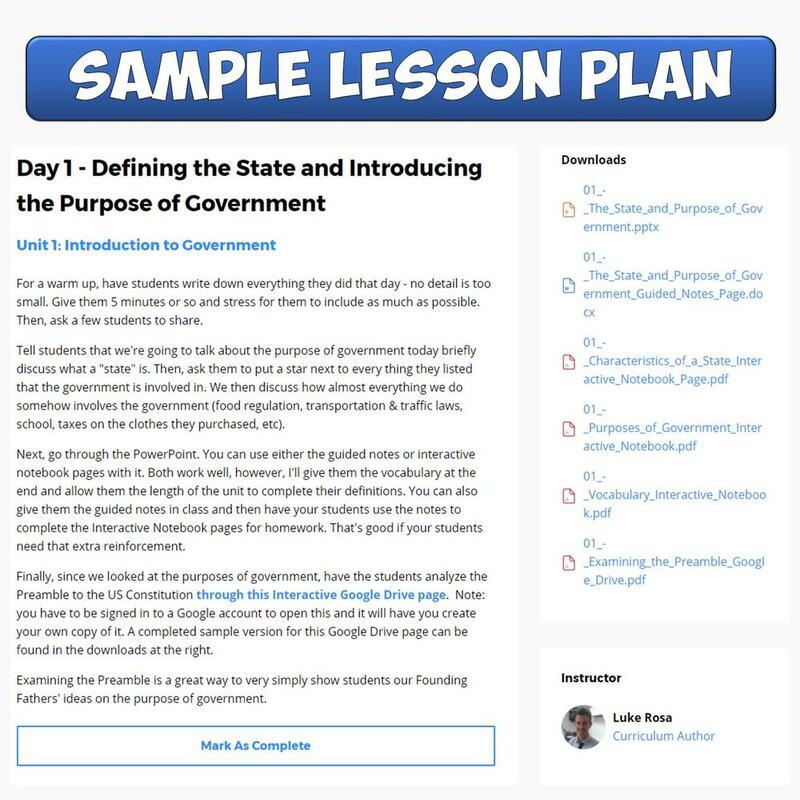 With your subscription you don't just get resources to download, you get simple, complete lesson plans for every day of the year. We know that lesson planning can be hard. Sometimes you find a great resource but aren't quite sure how to use it in your classroom. That's not the case here as ALL of our units come with a full lesson plan for every class period. These easy-to-follow lessons explain give you exactly what you need to know without any fluff. Never Stress About Lesson Planning Again! Lesson plans include all of the downloadable resources on the right-hand side so they can be easily found. 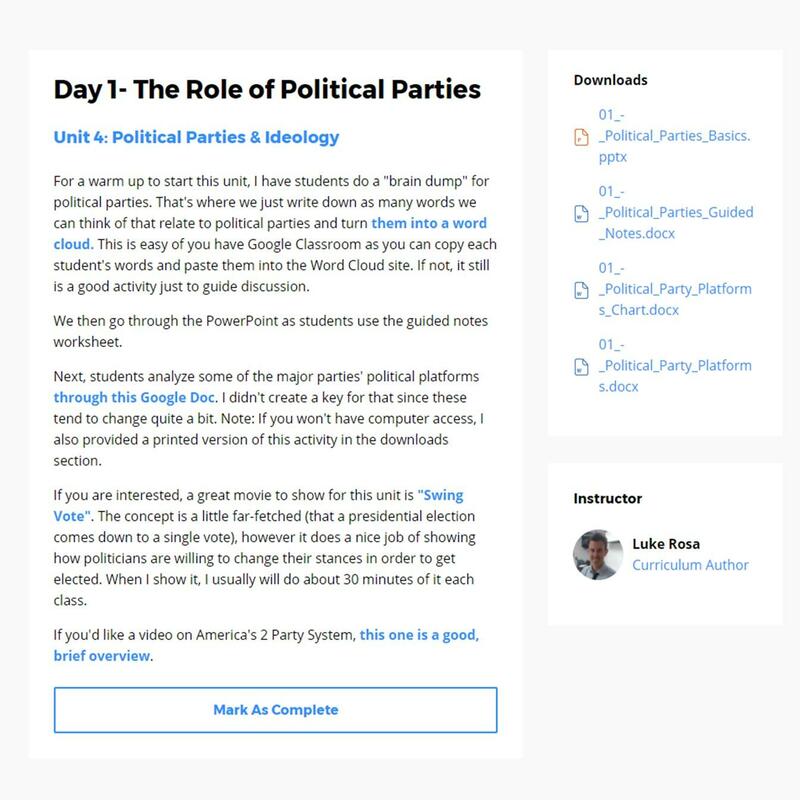 On the left, you'll find details on how to structure your lesson. These include warm ups to get started and exit tickets or homework suggestions. You'll also find links to videos and other websites to help supplement your lesson. 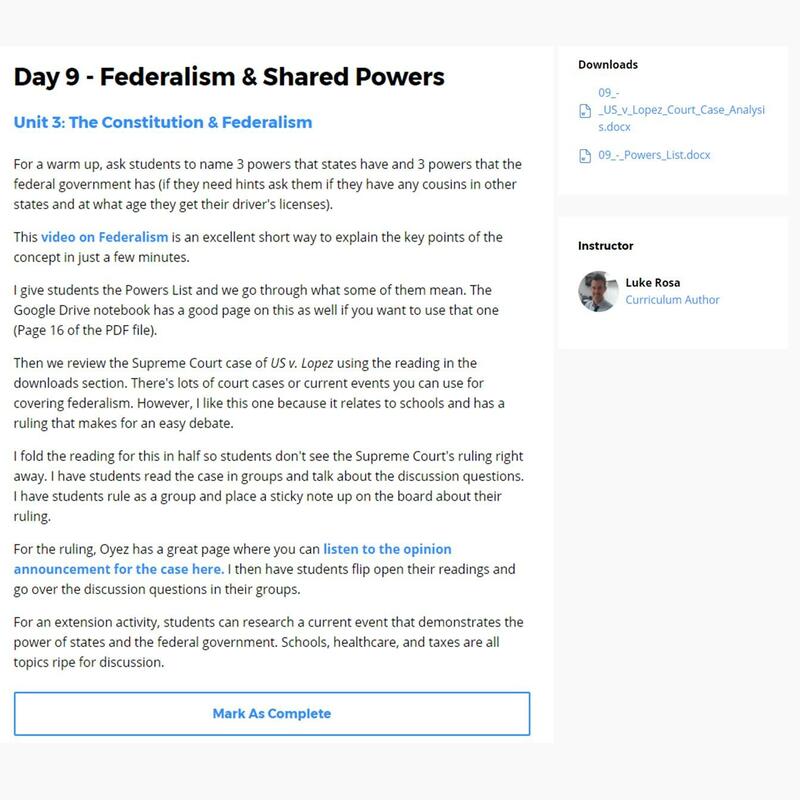 For review days, you get links to Quizlet, Kahoot, and other fun online review games designed specifically for that unit. 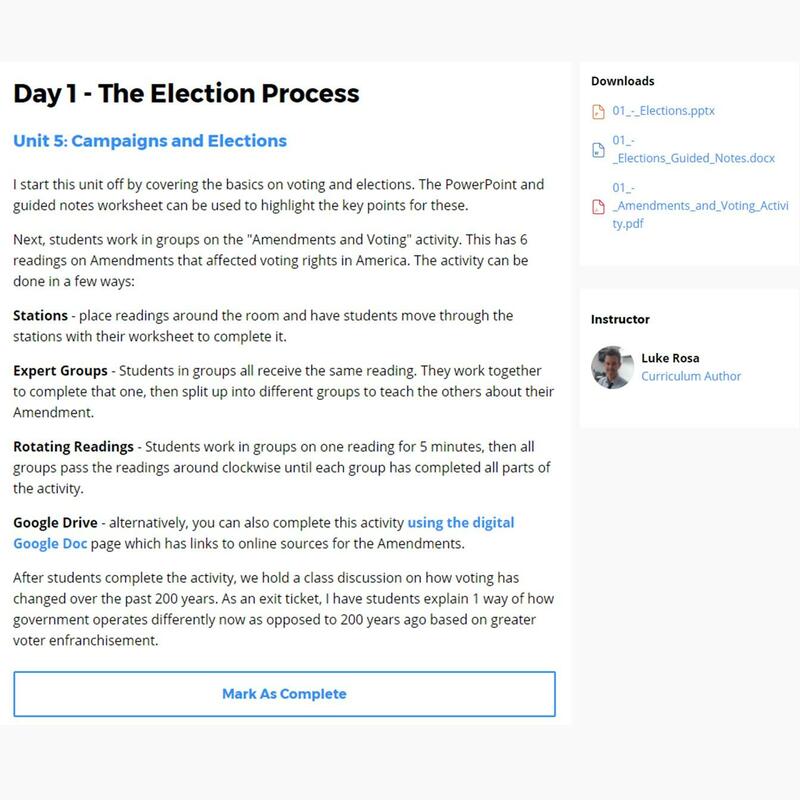 Everything you need to engage your students is at your fingertips! 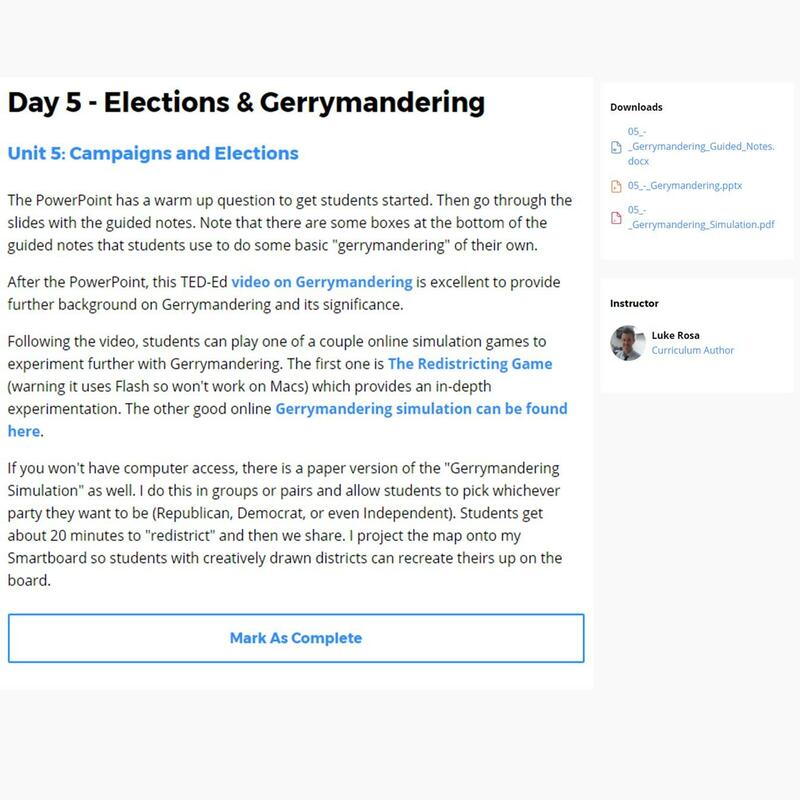 Want to try out some of our resources for FREE? Enter your email below and we'll send you a set of awesome activities you can use in your classes right away!